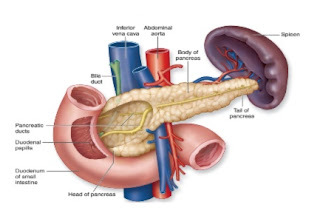 Diabetes mellitus is a condition in which the pancreas no longer produces enough insulin or cells stop responding to the insulin that is produced, so that glucose in the blood cannot be absorbed into the cells of the body. Diabetes mellitus is a chronic disease that causes serious health complications including renal (kidney) failure, heart disease, stroke, and blindness. Risk factors for type 2 diabetes mellitus are greater for some ethnicities, as mentioned before. Furthermore, those people who have a family history of type 2 diabetes, who are overweight or inactive also face a greater risk of type 2 diabetes mellitus. Diabetes mellitus affects a variety of people of all races, ages and nations. It is unkown why some people develop type 1 diabetes. It may be linked to environmental factors or a virus however it has been estabilished if there is a family history of type 1 diabetes then there is a higher risk of developing type 1 diabetes. Symptoms include frequent urination, lethargy, excessive thirst, and hunger. The treatment includes changes in diet, oral medications, and in some cases, daily injections of insulin. Symptoms of diabetes can develop suddenly (over days or weeks) in previously healthy children or adolescents, or can develop gradually (over several years) in overweight adults over the age of 40. The classic symptoms include feeling tired and sick, frequent urination, excessive thirst, excessive hunger, and weight loss. related tyo: lack of information.